Even if you're an avid fan of the Frosty or can't get enough of the Baconator (and new Baconator fries), there are probably a few things you don't know about the No. 2 burger joint in the U.S.
1. 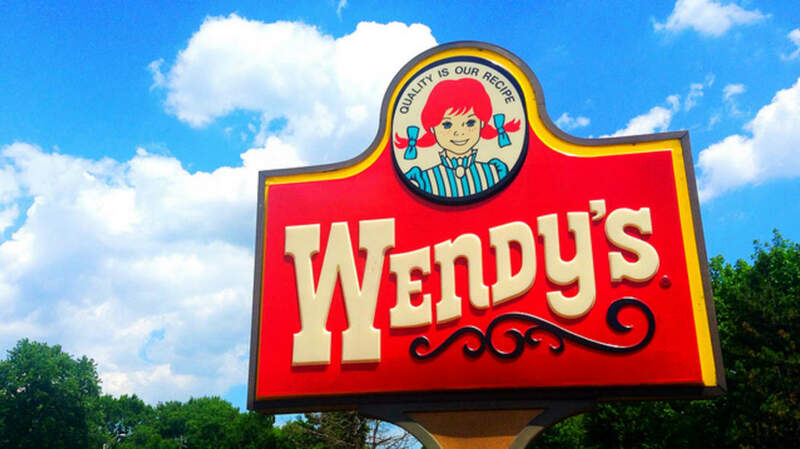 Wendy’s is named after Dave Thomas’ daughter, Melinda. As a child, she had the same issue pronouncing Rs and Ls that many kids do, and she referred to herself as “Wendy” or “Wenda.” Her likeness was also used for the famous pigtailed logo. 2. Dave Thomas never knew his biological family. Thomas was adopted when he was just six weeks old and never met his birth parents. Though he sought his mother out when he was 21, he found that she had already passed away. He did meet her family, but said he didn’t feel close to them. Thomas had no urge to meet his biological father at all, but his daughter was able to find out more about her grandfather in the 1980s. He had passed away by this time, and his son, a college professor and MIT graduate, wanted nothing to do with his famous half-brother. 3. Despite his negative experience, he created the Dave Thomas Foundation for Adoption. Thomas didn’t have a great experience with adoption. His adoptive mother died when he was just five, and his adoptive father, Rex, remarried three times after that. Rex moved around the country often in search of jobs, so Dave lived in 12 different cities by the time he was 15. On top of that, he didn’t have a particularly close relationship with his dad, summing up Rex's parenting style as, "He fed me, and if I got out of line he'd whip me." Perhaps hoping that he could help other children find better matches, he founded the Dave Thomas Foundation for Adoption in 1992. He also hoped that he could make it easier for adopted children to talk about their experiences. "You'd be surprised the people who were adopted who don't want to talk about it,” he once said. “It's hard for people who have a mother and father to understand. Adoption was like the plague." 4. Dave Thomas dropped out of high school. 5. Dave Thomas once worked for Harland Sanders. As an up-and-comer in the fast food business, Thomas worked for Colonel Sanders at some Kentucky Fried Chicken locations in Fort Wayne, Indiana. In the early '60s, he moved to Columbus, Ohio, to help bolster the sales of some floundering stores there. You might be familiar with the tactics he used to help the stores get back in the black: Putting chicken in buckets and promoting it with a giant, rotating, red and white bucket on the sign. Thomas made $1.5 million by turning the stores around, and used the money to open his own chain. 6. The first Wendy’s opened in Columbus, Ohio, on November 15, 1969. It closed in 2007 due to declining sales, likely because of poor parking and its lack of a drive-through. Though locals were upset, Dave Thomas' son insisted that his father would have favored practicality over nostalgia. "No one knows my father as well as I do—he was my best friend," Ken Thomas said. "I can tell you right now that he knew, that sooner or later we're going to have to do something with No. 1 store." 7. Wendy’s signature Frosty has been on the menu since day one. Wendy’s famous Frosty was one of the original five products on the menu in 1969. It cost just 35 cents. The others were hamburgers, chili, French fries and beverages. Frostys must be served at a temperature of between 19 and 21 degrees, by the way, to maintain the perfect thickness and texture. 8. They serve up about 300 million Frostys annually. Thomas was obviously on to something when he came up with the Frosty. Wendy’s serves about 300 million of them annually, with the 12-ounce, 99-cent size being the most popular. 9. The chocolate Frosty isn’t all chocolate. Get ready for some earth-shattering news about your favorite chocolate dairy dessert: It’s actually a blend of vanilla and chocolate. Dave Thomas wanted a thick milkshake that didn’t overwhelm the taste of a hamburger and felt that a pure chocolate dessert was too much. He cut the flavor with vanilla and declared it perfect—so that frozen treat you get at Wendy’s is actually more like a twist cone all mixed together. The all-vanilla Frosty wasn’t introduced until 2006. 10. Square hamburgers aren’t original to Wendy's. It's less about eating and more about conquering. Thomas got his inspiration from Kewpee’s, a hamburger joint in his hometown of Kalamazoo, Michigan. White Castle was also serving up angular burgers decades before Wendy’s made it one of their trademarks. 11. It was the first fast food chain to add a salad bar. Wendy’s Superbar featured a large selection of salad fixings, plus “Mexican Fiesta” and “Pasta Pasta” sections. Upkeep proved to be too labor-intensive, and the salad bar was eventually phased out of stores. 12. The actress known for the “Where’s the Beef” campaign was fired. Clara Peller, famous for gruffly wondering why her hamburger didn’t feature much hamburger, was dropped from the campaign after spoofing it in a Prego commercial. While shilling for the spaghetti sauce, Peller declared that she had finally found the beef, which Wendy's felt undercut the point of their ads. 13. Dave Thomas starred in more than 800 Wendy’s commercials. At first, they were terrible—people thought Thomas was too stiff. Scriptwriters figured out a way to play into the founder’s personality, though, and he was soon beloved by consumers. By the time the 13-year campaign ended, Thomas had starred in more than 800 commercials. 14. There's a Foie Gras Burger on the menu in Japan. Like most other fast food chains, Wendy's offers different items on its international menus. Wendy's Japan featured a Caviar and Lobster Burger and a Lobster Surf and Turf Burger as part of a limited time menu. Order off of the premium menu for a burger topped with foie gras and truffle sauce. 15. There might be a subliminal message in its logo. When Wendy’s refreshed its logo a couple of years ago, consumers immediately noticed a little something extra in the cartoon spokesmodel’s collar: the word “Mom.” Was Wendy’s intentionally trying to make us associate its fast food offerings with the wholesome goodness of mom’s cooking? Not on purpose, said Denny Lynch, the company’s senior vice president of communications. "We are aware of this and find it interesting that it appears our Wendy cameo has 'mom' on her ruffled collar. We can assure you it was unintentional." But once you see it, you can't unsee it.